필라테스가 글로벌 메소드로서 오랜 시간 동안 사랑 받기 위해서는 한 나라의 국민 정서와 문화의 조화로운 이해에서 시작이 되어야 합니다. 아시아 지역의 뿌리내리고 있는 필라테스가 미국이나 유럽의 필라테스와 달리 시대와 정서 문화에 큰 영향을 받고 있기 때문에 초청된 국제 강사에게 그 나라의 문화와 역사를 알리고 이해시키는 과정은 반드시 필요합니다. 첫 해부터 피아는 문화체험과 이해의 기반하에서 컨벤션 운영을 하고 있습니다. 전통 문화와 역사를 체험할 수 있는 투어와 음식 체험등을 통해서 한국에서는 필라테스가 어떤방식으로 정착되고 발전될 수 있는지 짐작할 수 있습니다. 모든 필라테스 고객들은 바로 한국의 라이프 스타일에서 발생되는 여러 가지 문제점을 가지고 있기 때문이며 한국인들의 습성과 성향은 바로 의식주와 문화에서 나오기 때문입니다. 투어일정은 전통거리에서 한국 전통 문화와 음식을 경험하고 왕궁방문을 시작으로 저녁에는 아름다운 서울을 가로지르는 한강의 멋을 느낄 수 있는 선상 크루즈 디너뷔페로 진행이 됩니다. 피아 컨벤션은 단순한 정보와 지식의 나눔의 자리 이상의 가치를 만들기 위해서 국제 강사들의 체험을 매년 더욱 확대되어 진행할 예정입니다. 2017년에는 아시아 국가들의 전통과 문화를 체험 할 수 있는 기회를 가질 예정입니다. Acknowledging culture and national emotion is the most essential part for better understanding of its pilates as a global method when it is rooted in Asian countries, and that procedure is not the same way that happened in America and Europe. From the very first year of PIA, Care Pilates has proceeded culture program for international presenters to experience it. 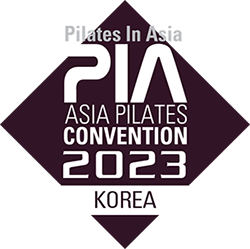 Through traditional experiencing, knowing of history, and foods, you can get a hint how pilates has rooted and developed in Korea. Every customer has issues that caused from Korean style and culture, and it is related to Korean custom. Tour schedule is consist of visiting traditional spots and palace in the day time and cruz dinner buffet in Han river, which will gives you beautiful night views and refreshing sailing.